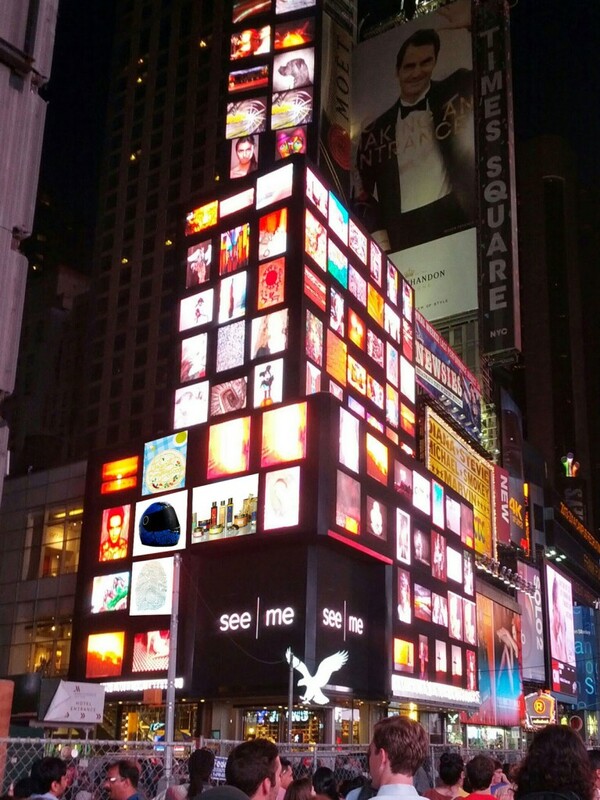 Work shown in Times Square exhibition! Last year (2013), in October, some of my work was shown in a group exhibition in Long Island City at the See|Me gallery. 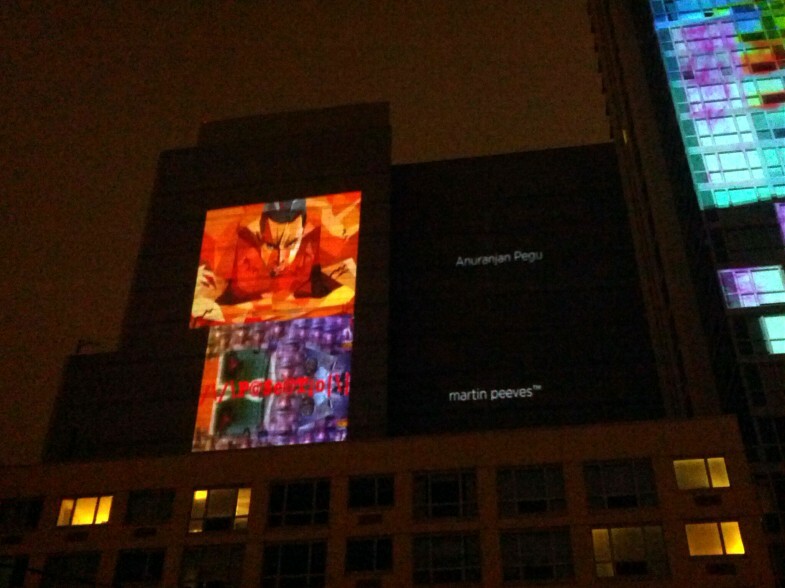 One of the works was projected on a building as well while the rest were shown on a screen inside the gallery. 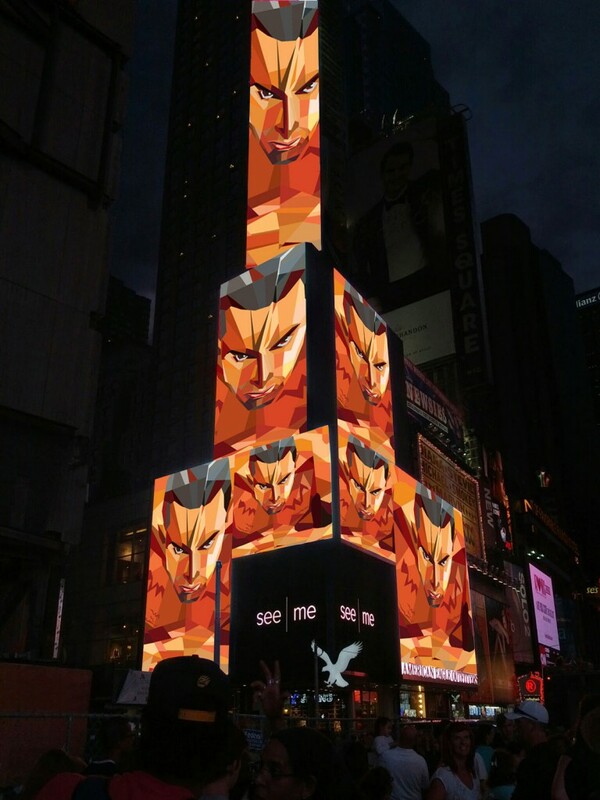 On July 28th 2014, in a group exhibition, a few additional works were also displayed in Times Square in NYC!! The mall graphics was the centerpiece but also shown were the helmet graphics, the poster-postcards, the book cover and the acclaimed Forest Essentials packaging. The last one is a major one because a junior designer in India was falsely claiming this design to be her concept on Behance and despite being asked to take it down, she hasn’t. By showcasing this work on the world’s largest billboard, it has been affirmation of the hard work that I and Manav put into this project. I could be in an exhibition in Paris! If people vote for me, it is possible that I may get to show my work in an exhibition in Paris! How cool would that be? Here’s a link to vote for me. Much appreciated! I am in an exhibition in NYC! This news comes a bit late but there is still time to catch my work been displayed in an exhibition in New York City! It opened on July 25th but I was hiking in Maine at that time. It runs through September 10th- go if you can!